The Watch TV Free, as the name suggests is a wonderful app for you to watch your television through iPod Touch. The best part is that the app is free and watching the television will not cost you a single cent. The ipod touch app can be used by people all over the world to view their local channels. The app has a store of more than 1000 television, which hosts the major channels from all over the world in native languages. Besides, you also have access to the television guide. You can browse through the channels and programs, choose the best one and watch television to your heart’s content. Enjoy the latest news, weather updates and watch movies on television. The app is adding more channels all the time. 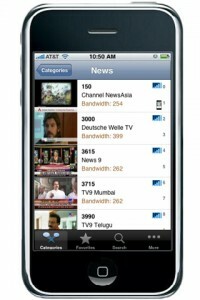 This is one of the best apps of iPod Touch, which allows you to browse international television at no cost at all. 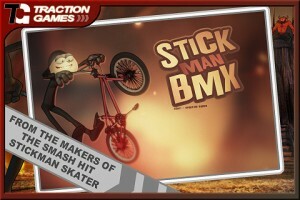 Among the adventure iPod Touch Free Gaming Apps, Stickman BMX is a great game. 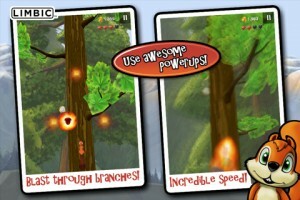 One of the most awaited free games for iPod Touch; this is Stickman Skater Part II. Enjoy the ride on the BMX bike with the hero of the game, Stick son. Ride the bike through different terrains and challenge your ultimate gaming skills. The features of the game are an enormous sixty fun and adrenaline filled levels, great locations, biking tricks, secret trails to explore, leader boards to record achievements and a number of other features. Experience the thrill of testing you’re riding skills and overcome the most exiting and interesting challenges on a BMX bike. This app will definitely become your addiction. This is one game that will definitely drive you nuts with fun. The game is being offered free only for a limited period of time and so, make the best use of the opportunity. All you have to do is collect nuts but beware; collecting nuts has got its challenges too. Now enjoy the better and enhanced version of the game with seventeen achievements to go after, keep track of the height you climb and enhanced Game Center Integration. This is one game that you will want to play repeatedly. The paid version of the game is called Zombie Gunship. Download both the ipod touch games and have unlimited fun. Zombie smash is as funny as it sounds. Fight the zombies and stop them from entering your home because if the do, then be prepared to get scratched, gnawed and bitten. Use all the tools and weapons and try to slow the progress of the crazy zombies. This is one game where you need to be real quick because zombies are of different kinds. While some are slow and nimble, others rush at you like rockets. So, keep your wits with your, hands on the controls and get ready for war. Protect yourself and your home from the zombie attack. 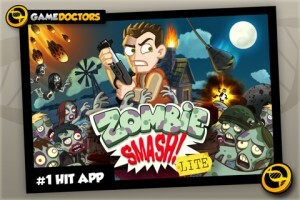 Test your agility, response time and quick presence of mind by fighting the rushing zombies. Well, this game costs 99 cents, so it is almost free.